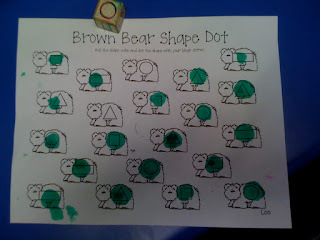 Mrs. Lee's Kindergarten: Color Fun and Brown Bear! Color Fun and Brown Bear! We just finished up our Brown Bear Unit and our Color Days! Those days are always so much fun! 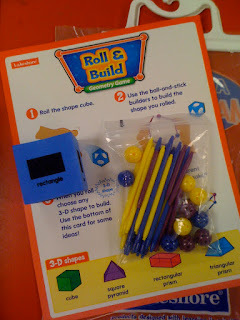 Check out some of the things we did. 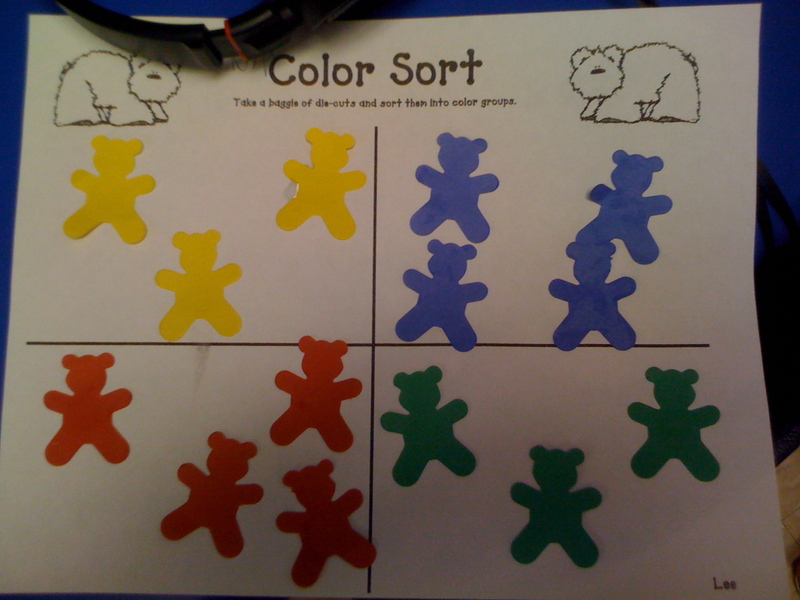 The activities you see below can be found in my Best Selling Brown Bear Unit (except the texture book...I've included a link to it below) plus tons of other ideas and activities. 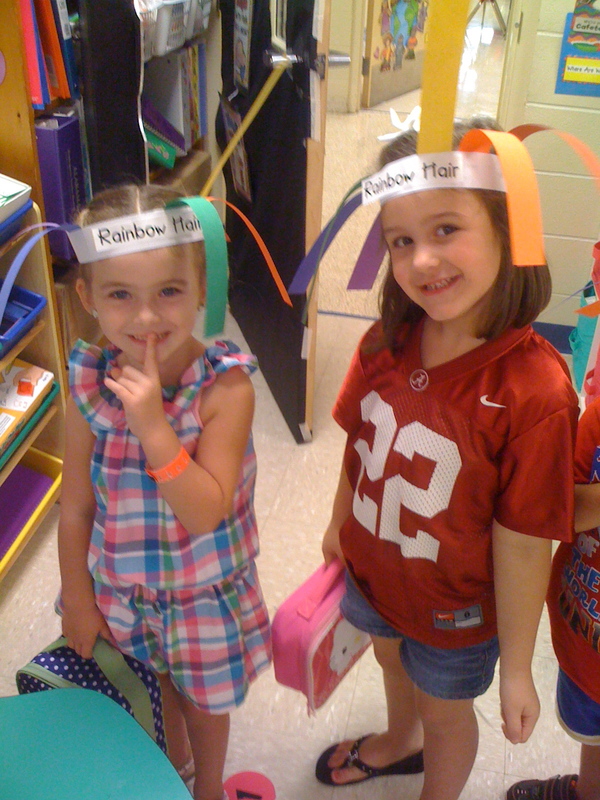 We made "Rainbow Hair" to wear to lunch! To make this just cut strips of colors of the rainbow and print out the words Rainbow Hair to glue to a sentence strip. I always cut my sentence strips in half long ways to save on strips. Another math center...roll and dot shapes...This is one of our first "roll" games where we learn how to take turns and pass the cube. 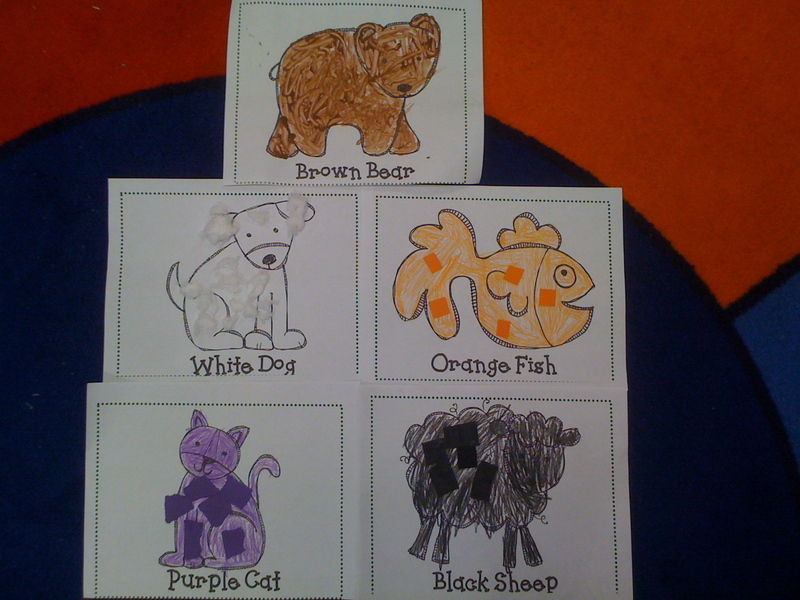 We finished the pages to our Brown Bear Texture Book...this is one of my favorite things we do all year...and the kids LOVE it...they always ask, "What are we going to put on the animal today?" 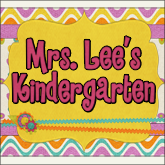 This book can be found in Jamie Mayas' and my Brown Bear and Friends Pack. 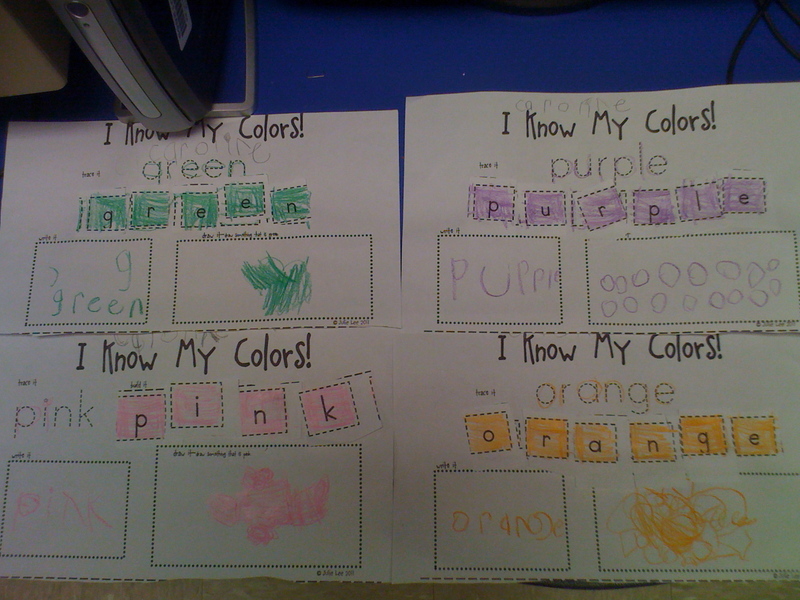 We made our little David's the very first week of school and I forgot to take a pic. We also completed the peacemaker peacebreaker chart...this can be found in my I'm a Peacemaker packet on tpt. And, I LOVE this too! 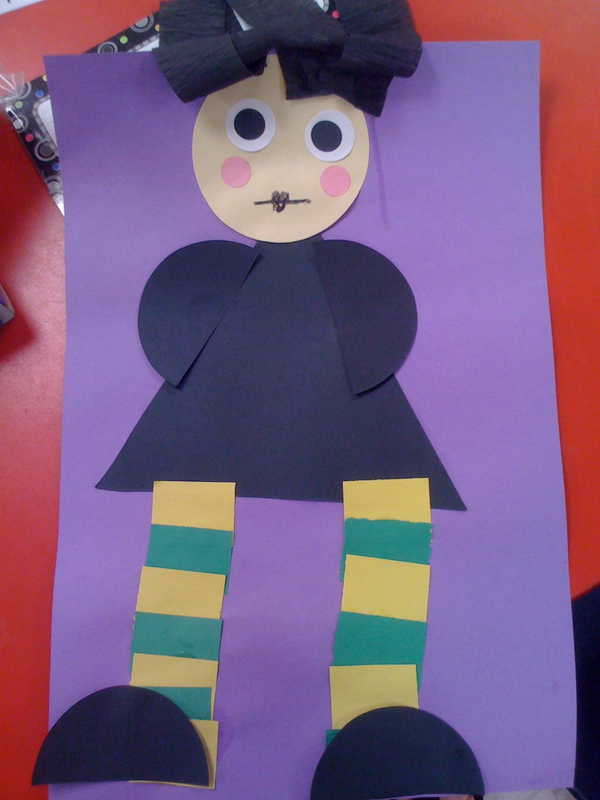 We read Miss Nelson is Missing and we made Viola Swamp. 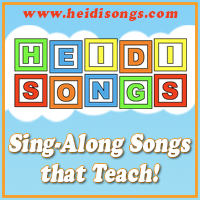 We will add a sentence to this activity that says Miss Nelson is Missing! 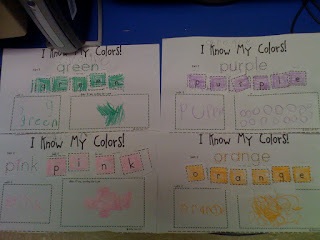 Kids will write the sight word is. I've also got this on tpt if you are interested. The kids think it's funny to make the "witch" from the story. And, we always say how we have to behave because we sure don't want Viola Swamp to visit our room. 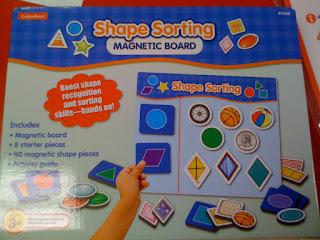 Check out these new games I got from Lakeshore! I am loving these. We just got them in on Friday so I know my students are ready to break into them! These are perfect for beginning of the year. I've got 2 new packs that I'm almost finished with so keep checking back for those! Hopefully they will be posted this week! To check out other fun ideas from previous years click the links below! Love the brown bear stuff. It's very cute! Nice Snaps ..photos are very pleasant!! I'm Back with My First Week of Full Days Fun!